Our vision of God defines our lives. God is Unique. He is the only true God. There is no person, object or idea that bears any comparison with Him. All other ‘first priorities’ are by comparison found to be only useless objects, worthless ideas or temporary activities that are the product of human hands and minds. Everything we know about God has been revealed to us by Him. We did not discover Him – He found us. And the only reliable foundational source available to us is the Bible as it is opened to us by the Holy Spirit. It is the same Spirit who awakens our spirits and minds and understandings to the reality and truth of God and His great love. As glorious and as deep as this is we need to remember that the vision and understanding we receive is limited to the level of our fallen and mortal humanity. The reality and complete truth of God is totally beyond anything that our minds can understand or express. Therefore our greatest and deepest appreciation of God will always be in our spirits when they are touched and blessed by His Spirit. 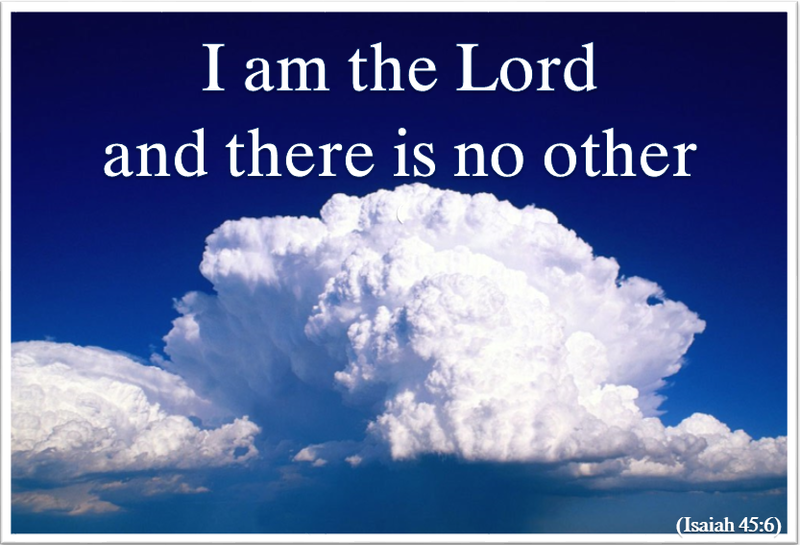 There is no one and nothing like the Lord God Almighty. And once our eyes have begun to open to His majesty, glory, beauty and love there is no one and nothing that could possibly be more desirable or such a blessing. Lord God please open me more and more to the wonder of Your glory and love. May I look for my truth, beauty and peace nowhere else. Amen. To say that God is holy is to acknowledge that He is distinct and separate from all other beings and absolutely unique. There is no one and nothing that can compare to Him. God points this out Himself. In God there is no darkness at all (1 John1:5). But not only that. His light is a perfect and complete light – a light that would blind and paralyse us. His truth is a total and absolute truth – nothing missing, overlooked or incomplete. His will is an overwhelming and irresistible will that will not rest until it has completed what He wishes. And such is the total hatred that He has for sin that it causes a violent reaction within Him that desires to leap out and destroy all that is not of Him. There is only one thing that stands between us and the consuming holiness of God – and that is the Cross of Christ, the great revelation of His perfect and holy love. 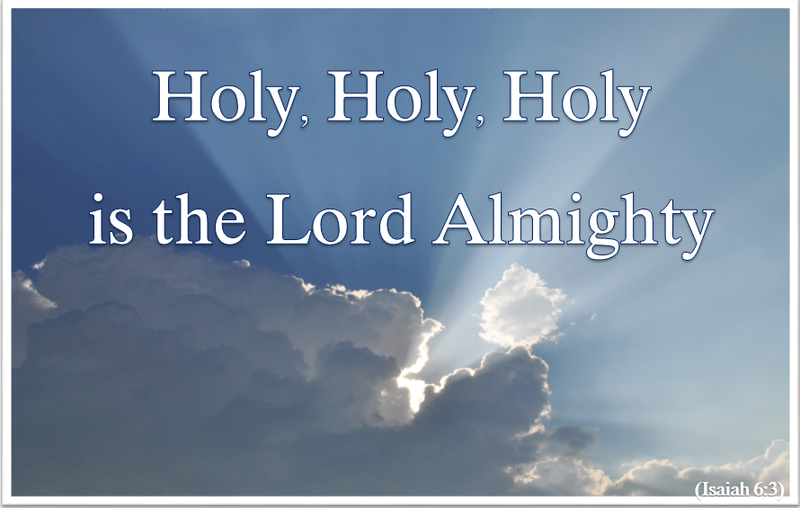 Open my eyes Lord to the glory of Your Being, and help me to worship You in the beauty of holiness. Amen. God is still God, He is still in control and He always will be. Jesus Christ His Son is, and always will be, the Answer to all life’s challenges and needs – in each and every situation. We are called to live in faith and obedience to God. Faith is an active response and it is revealed through our obedience – whilst to disobey is a rejection. So we start by putting our faith and trust in Him, and continue by expressing it in our obedience. Whatever the state of our lives at this moment we need not be alone. The Lord God, the Almighty Father, is with us, the Crucified, Resurrected and Ascended Saviour is with us, and the Life-giving, Fruit-growing and Transforming Holy Spirit is within us. 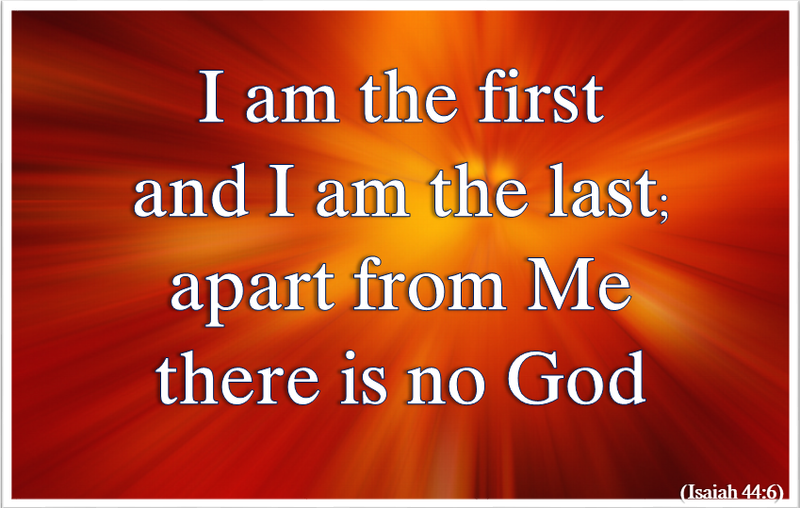 You are God and there is no other. 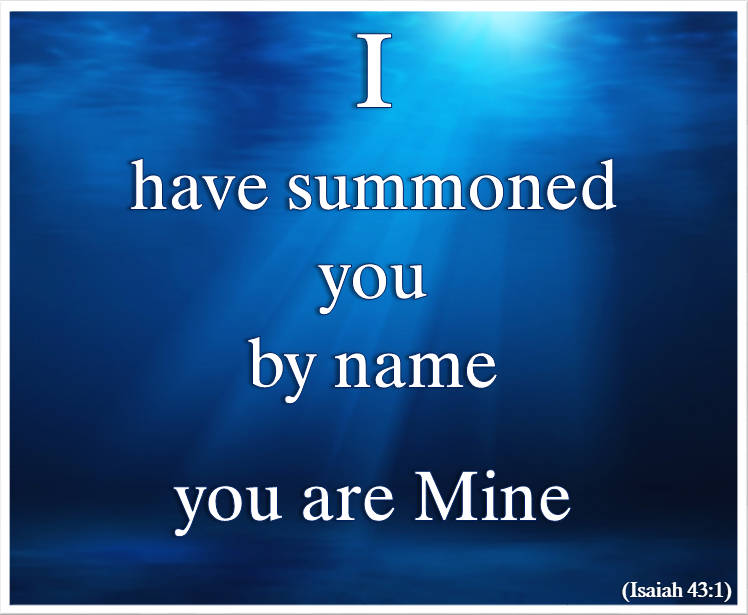 You are the God of my life and my situations. Bless me Lord for I need You so much. Guide me, strengthen me and grow me in faith and obedience and the knowledge of Your love. I entrust You with me in my today and tomorrows. Amen. God made the world and He made us according to His purpose. He put the natural and spiritual laws in place to support this purpose. He therefore knows the best way for it to be achieved. And, because He loves us and wants us for His daughters and sons, His ways will be the best for us – as well as the only ways. From Adam to Abraham to Sinai and to Jesus Christ God has, in one way or the other, been telling humankind that the way that He shows us, and in which He instructs us, is the way to live. Jesus continued with that message. It’s the way that He lived. It’s the way we should. Trying to live without God, or to do things our way, invites ruin. 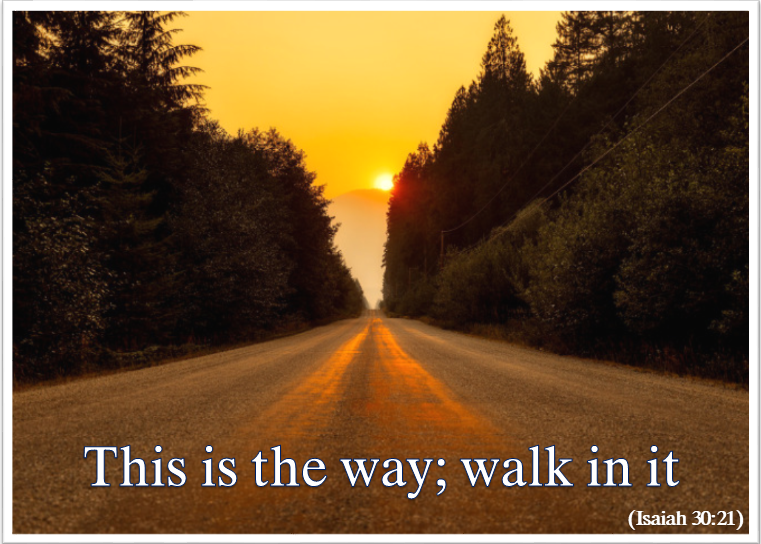 God’s Way leads to life – the ways of the world do not. Lord God help me to be faithful to You and to Your Word – for in Jesus alone is the way, the truth and the life. Amen. These are hugely encouraging verses. Firstly, the Lord may be found. He is not a God who hides from us. Although He does not parade Himself around for the entertainment of the masses – like Jesus if He had leaped from the pinnacle of the Temple – still He is accessible and knowable. Indeed He said, “You will seek me and find me when you seek me with all your heart.” (Jeremiah 29:13). He is here for us to find if we are sincere. We were created into a relationship with Him, and He has not changed. 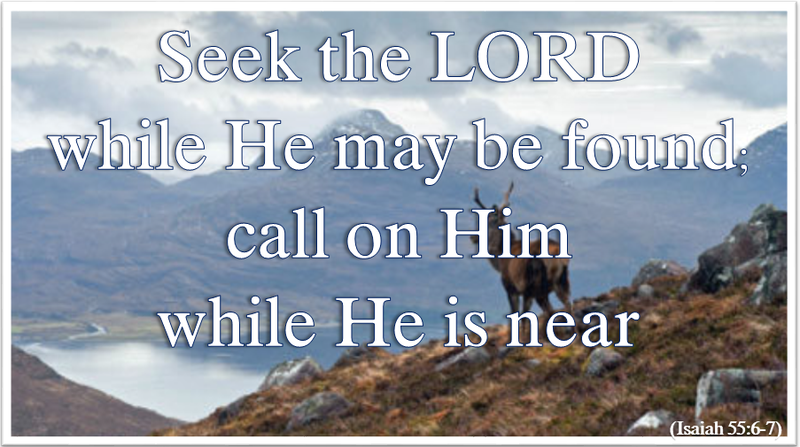 Secondly, the Lord is not far away, from where He has to be called back. He is near. As Alfred, Lord Tennyson, wrote, “Closer is He than breathing and nearer than hands and feet.” He is so near to us that He knows our every thought and the numbers of hairs on our heads. Thirdly, when we do turn to the Lord and seek to put our sins behind us, His delight, which arises from the unfathomable depths of His love, is to have mercy on us and to freely pardon our sins. He has already dealt with them in the supreme sacrifice of Jesus Christ on our behalf. God does expect those who come to Him to repent. That is not just to confess their sins but to be prepared to start walking away from them – to forsake them, to leave them lonely and abandoned behind them on the highway of their life, no matter how long it might take – and to seek to walk in the ways of the new and better life that God holds out to them. In this they will have His help. Be aware of the closeness of the Lord – talk with Him and seek to do everything as for Him. Father, forgive me for those things that stand between us, and which I have not yet abandoned. Please help me to seek and turn to You with more purpose than before and to walk in the way of my new life in Jesus Christ, Amen. Look! Can you see it – hear it – feel it? Be still and know He is right there – here – now. In it all.